The 24-year-old activist, who shot to prominence in 2015 with his agitation over the quota issue, vowed to continue his fast till his demand for reservation was met. 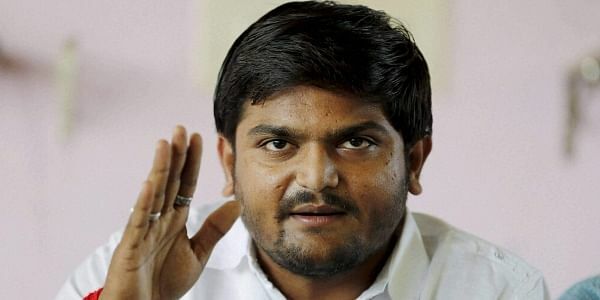 AHMEDABAD: Patidar quota agitation leader Hardik Patel today announced that he will sit on an indefinite fast from August 25 to press for reservation to the community members in government jobs and education. In a video message posted on his official Facebook page, Patel said getting reservation for the members of his community was his primary concern. He added that the fast would be his "last fight". "This is our last fight. Either I will give my life or we will get reservation. I need your support for this. The fight has come to the last phase." "Reservation is our primary issue and we will continue to fight for it. From August 25, which is observed as the 'Patidar Kranti Divas', I am going to sit on an indefinite fast and will not eat anything until we get reservation," Patel said, interacting with his supporters via a video-streaming feature on Facebook. On the same day three years ago, the Patel-led Patidar Anamat Andolan Samiti (PAAS) had organised a mega rally here to put forth the demand for reservation to the community members. The rally had turned violent, leading to a police crackdown on the participants and the eventual detention and incarceration of Patel on sedition and other charges. Around 14 Patidar community members were killed in the violence. Making an emotional appeal to his supporters and the Patidar community members, a section of whom had criticised him recently for "diverting" from the core issue of reservation, Patel sought their united support. "We will get the reservation, but only when we come together to fight for it. If we are fighting among ourselves, then this is not going to happen. We are lagging behind due to unnecessary debates and opposition (from within the community)," he said. Patel also defended his decision to support Congress MLA Alpesh Thakor on the issue of prohibition, saying it was his responsibility to fight against the menace of liquor. The Congress MLA, who represents the Kshatriya-Thakor community in Gujarat, has been a vocal critic of the way prohibition has been implemented in the state. Thakor, Independent legislator Jignesh Mevani and Patel were yesterday booked by the police on trespass and other charges after they allegedly led a "raid" of a house, where they claimed liquor was kept stored illegally. Patel said fighting for reservation was his top priority, but he will also continue to raise issues related to farmers, prohibition and unemployment. PAAS convener Alpesh Kathiriya said the venue for Patel's fast next month was yet to be decided. "We will soon inform about the venue, where the indefinite fast will be organised. Patel's supporters will also join him," he added. From August 25, every day one of Patel's supporters would get his head tonsured to highlight the issue of reservation and make the government take note of their demand, Kathiriya said.